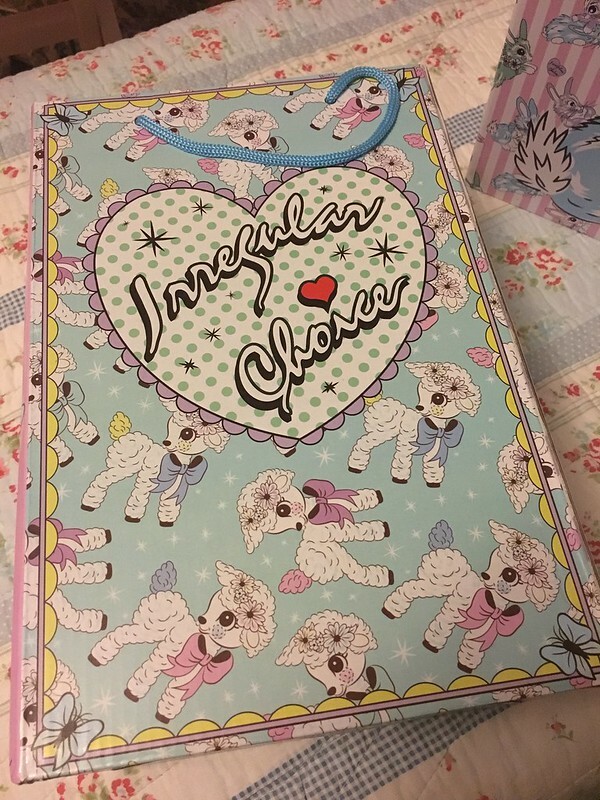 Oh, how I love it when the new season packaging designs begin to make their way into my Irregular Choice collection. 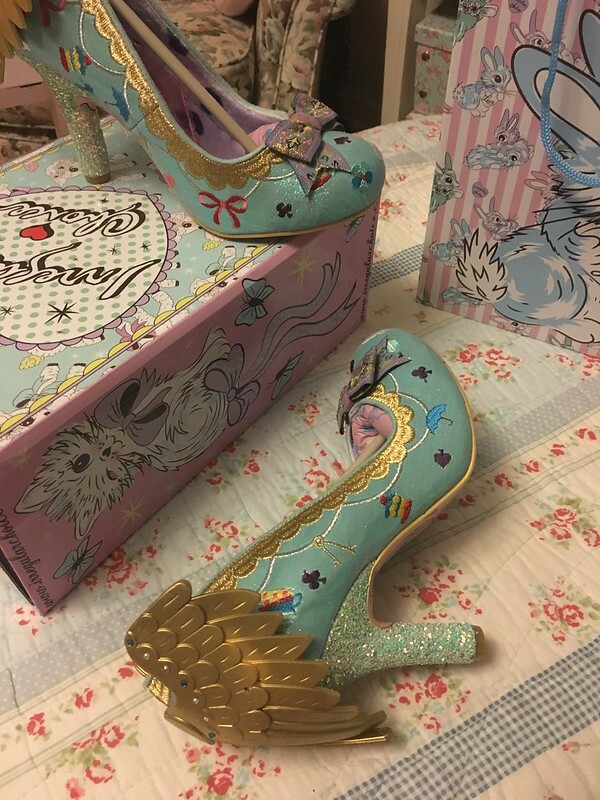 Whilst I'm not an avid collector of the boxes, I keep some in which to store the shoes which don't have spaces on the shelves or my display cabinet (which needs a bit of an overhaul, I think). 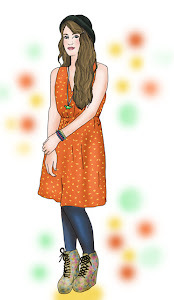 I've tried to keep at least one of each design I've accumulated and I'm relatively sure that I'm not missing any - Gemma's blog is my go-to for checking this. These winged beauties are Tabbris. Turquoise iridescent uppers with embroidered logos of cakes and umbrellas and other little symbols. The edging is also embroidered with gold scallops. Scalloped edges proving to be a firm favourite with the IC designers, of late. 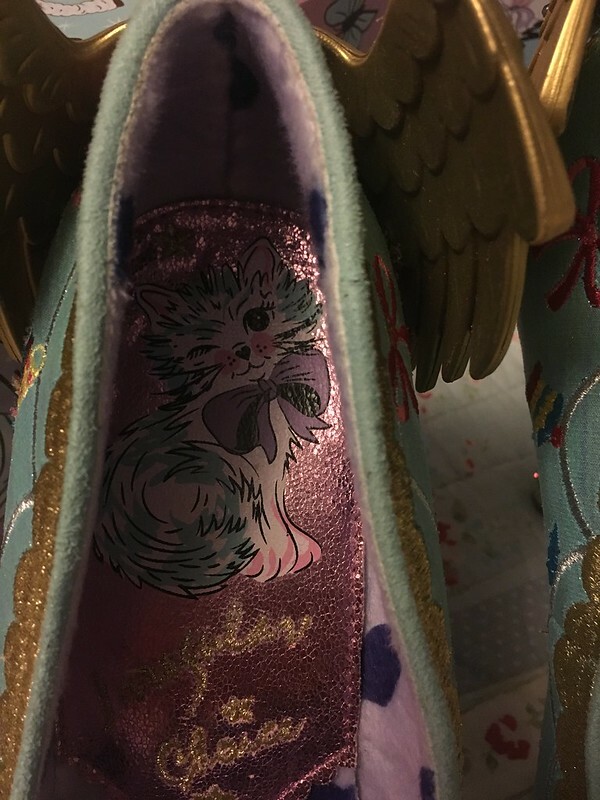 As I mentioned already, the insides of the shoes are a metallic purple leather with the printed pretty kitty design above the logo, and the rest of the shoe is lined in a heart print velour, which has a lovely plush feel to it. 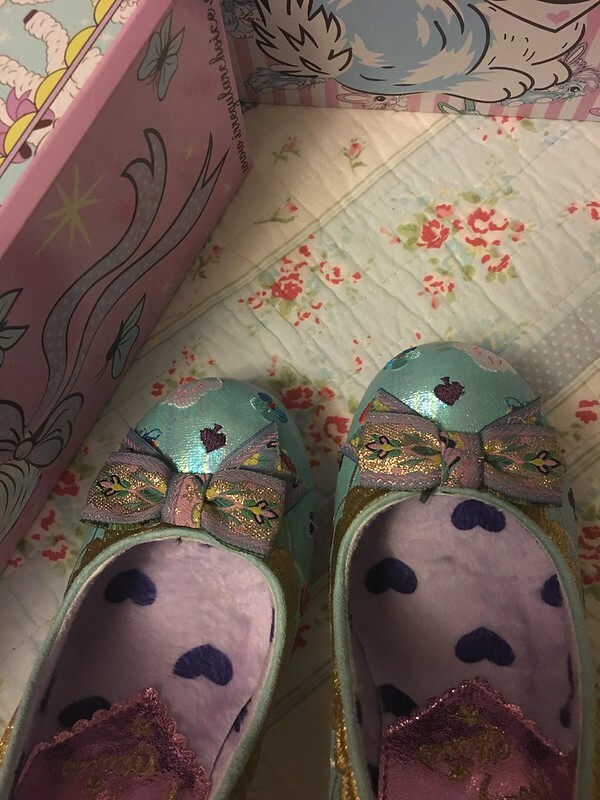 The fronts of the shoes have a lovely little ribbon bow, which is made from jaquard ribbon in a mixture of golds, purples and greens and somehow seems to fit in nicely with the rest of the feel. 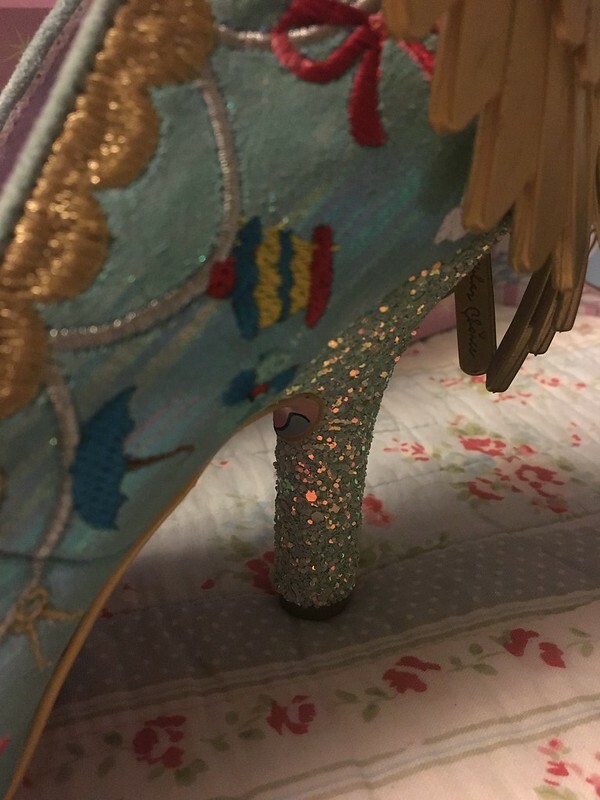 The heels are covered in glitter and catch the light nicely, and frankly all of the above would make them pretty enough as it is...but then we get to the piece de resistance, as it were. 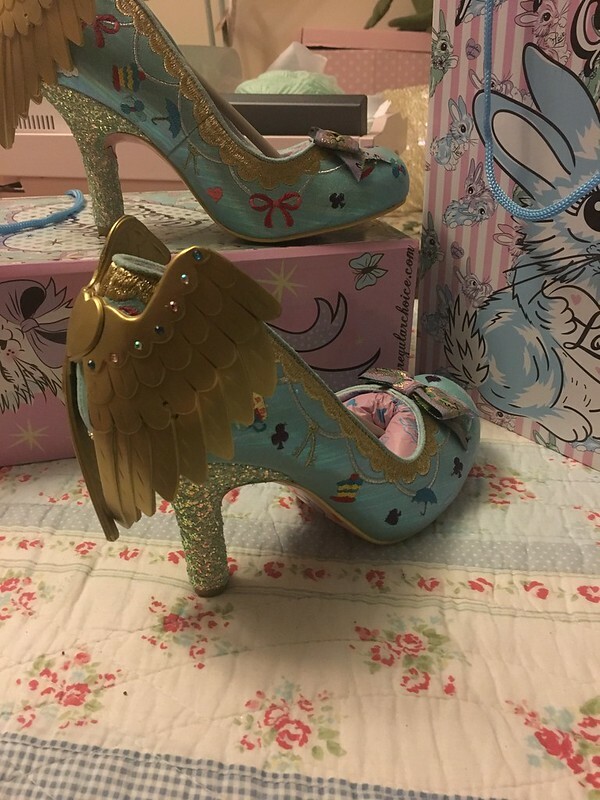 The backs of the shoes have a pair of wings attached to them, which is the main feature. I must admit that having read various reviews etc, I was a little worried about the wings being easy to detach or damage. Having worn them for a regular day, I've found that they do get in the way a little when driving, because they overhang the back of my foot more than I'd usually find with a pair of shoes, but other than that, they've not been at all noticeable. Another thing to add is that for a change, these seem to be true to size. 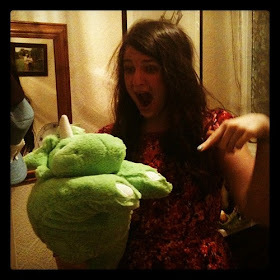 Maybe IC have finally sorted their sizing out!